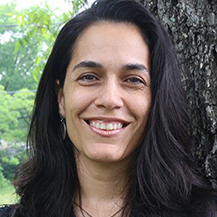 Mirasol Enríquez is a film and media scholar, cultural worker, and video editor who has devoted her career to community building through film and the other arts. She holds a Ph.D. in Cinema and Media Studies from UCLA, an M.A. in Cinema Studies from NYU’s Tisch School of the Arts, and a B.A. in Feminist Studies from Stanford University. She has previously served as a Research Scholar for the UCLA Center for the Study of Women and her scholarship focuses on Latina producers of feature films, media production culture, and representations of race and gender in media. Her article, "Josey Faz: Traces of a Tejana in Chicana/o Film History," is forthcoming in the Journal of Cinema and Media Studies (Summer 2020). Mirasol’s media industry experience includes serving as Director of Community Media at the Austin Film Society (AFS), where she oversaw the education programs and spearheaded the Community Media initiative at Austin Public, the community media center AFS manages for the city of Austin. She has also done work for the Women in Film Foundation, The Sundance Institute, The National Association of Latino Independent Producers, and Nielsen Media Research. She is currently on the Board of Directors at Forklift Danceworks and is committed to collaborating with and producing knowledge about independent artists who make socially/politically relevant media that empowers underrepresented populations.